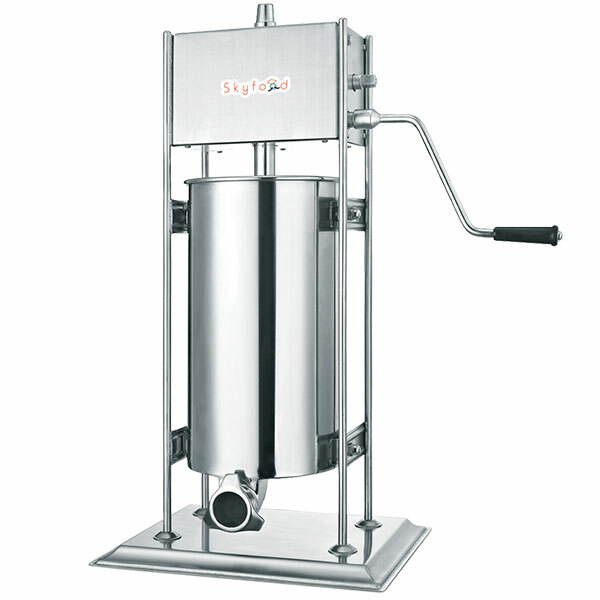 Sausage Stuffers are used for filling all types of meat batter in containers such as casings, glass jars, cans etc. 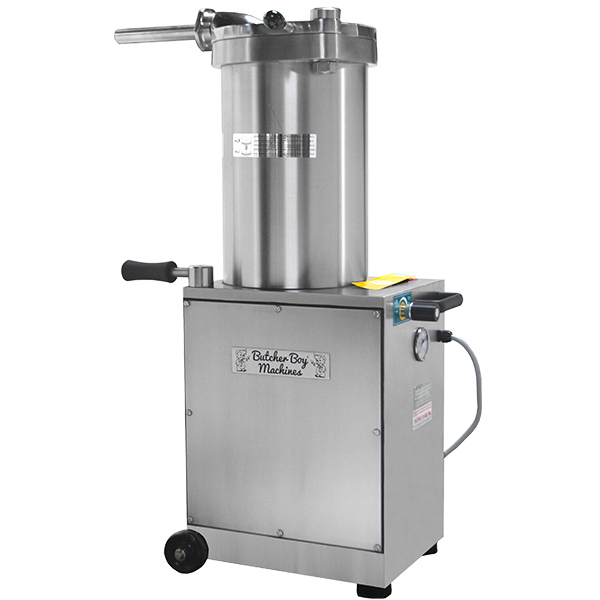 The most common type of filling machine in small and medium size operations is the piston type. A piston is moved inside a cylinder forcing the meat material through the filling nozzle (funnel, stuffing horn) into the containers. 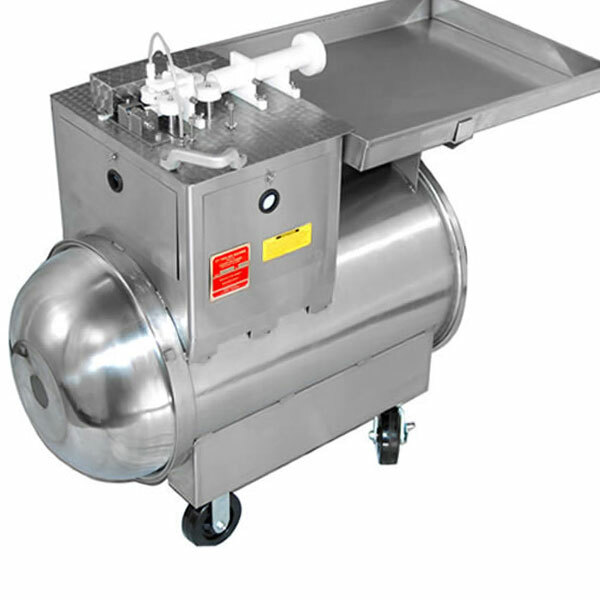 Hydraulic Piston Sausage Stuffers are floor models used in small to mid-scale operations. 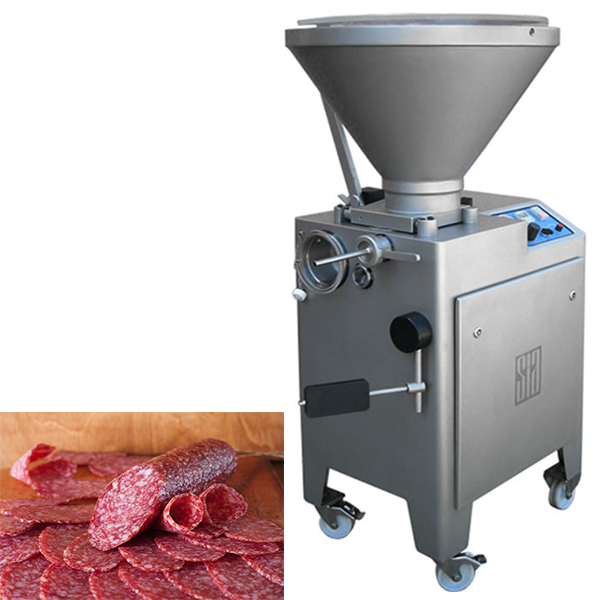 Manual stuffers are usually sufficient, sometimes even simple hand-held funnels are used to push meat mixes into casings. 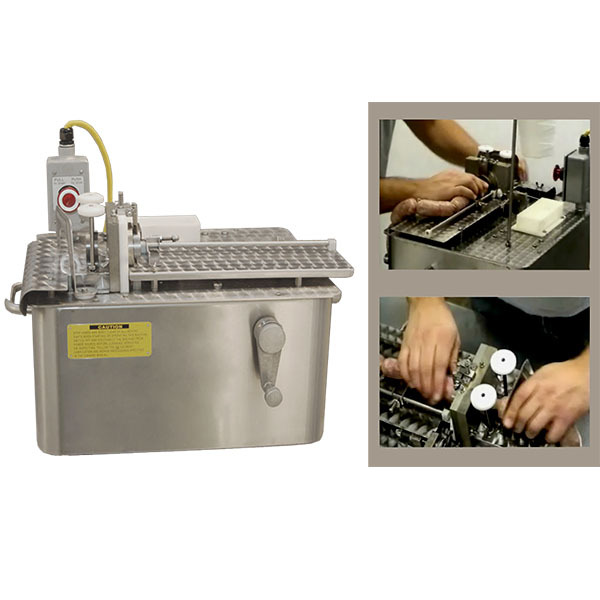 Continuous Vacuum Stuffer are filling machines for larger operations. During the filling process a substantial part of the enclosed air is removed from the product, which helps to improve color and texture of the finished products. 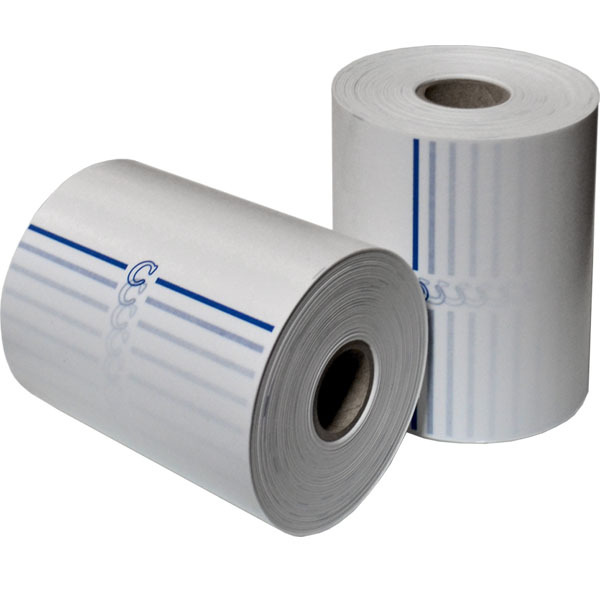 These Sausage Stuffers are usually equipped with a portioning, twisting and a casing grip devise attached for filling of “shirred” (folded) uncut collagen and plastic casings.